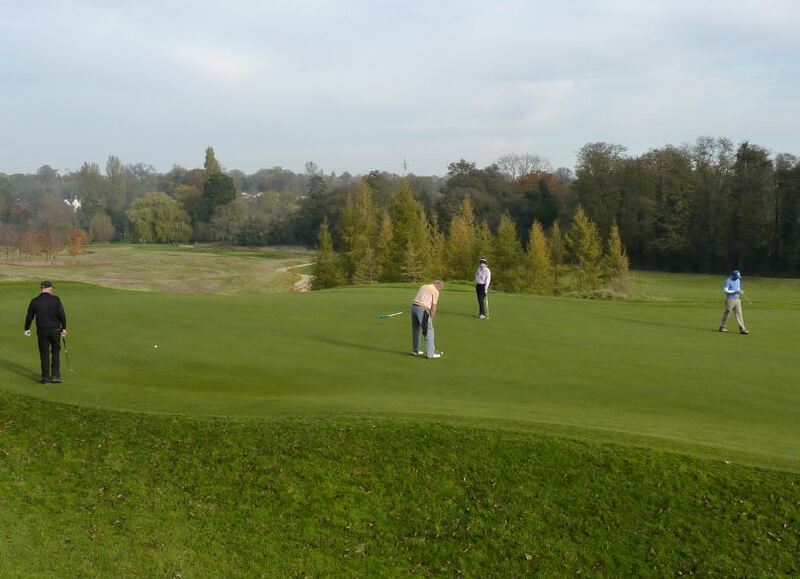 It’s not often that one of the Society’s single figure handicappers hits a great shot to a Par 3 and then, taking his putt, sees his ball slip past the pin and run off the green before dropping into the stream alongside! 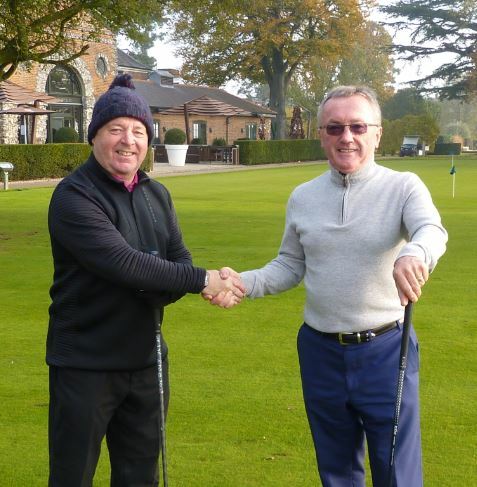 That is what happened in this year’s Match Play knockout final at The Grove for nine-handicapper Ian McGowan, who then, frustratingly, watched opponent Mike Creaby, whose ball was well short of the green, chip on and sink the putt to win the hole. The greens at the course were lightning fast and all players found them difficult to handle. The course itself was in amazing condition, despite the long hot summer that had caused so many problems to golf courses up and down the country. As one would expect, it was nip and tuck between Ian and Mike throughout, with only one hole either way ever separating the two players, up until the 15th. Ian, the beaten finalist in last year’s competition, conceded that putting off the green into the water hazard was a first and, hopefully last time, that such a thing would happen to him. Both he and his opponent were amazed at how good the course was and how fast the greens were. The Match Play pairing of Ian and Michael were followed up the fairway by the four finalists in the order of merit for the title of “Golfer of the Year” and the Iain Walker Trophy. While Ian’s slippery putt showed how unlucky he was on the ultra fast Par 3 with his putt running off the green into the water, the 4 x Ball match playing behind for the title “Golfer of the Year”showed how Lady Luck can help the other way. In the expected tight finish to the play-off final, between Adam Kemp, David Crump, Clive Heard and Lisa Heywood, it was two of Adam’s shots on the 17th that sealed his victory. 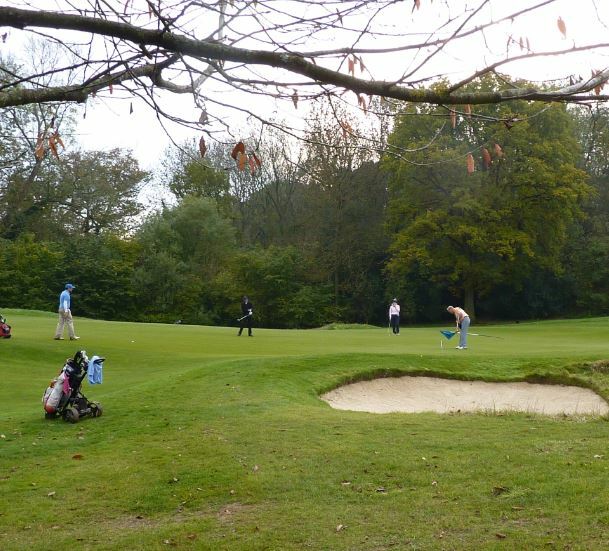 Twice his ball hit the concrete buggy path alongside the long Par 5 but the ball bounced the right way and stayed within play to enable him to par the hole for a vital three points. His final 28 points was one clear of runner-up David with Clive a couple of points further back from Lisa, whose remarkable winning run during the year had seen her handicap cut from 19 to 13 for a Society record . 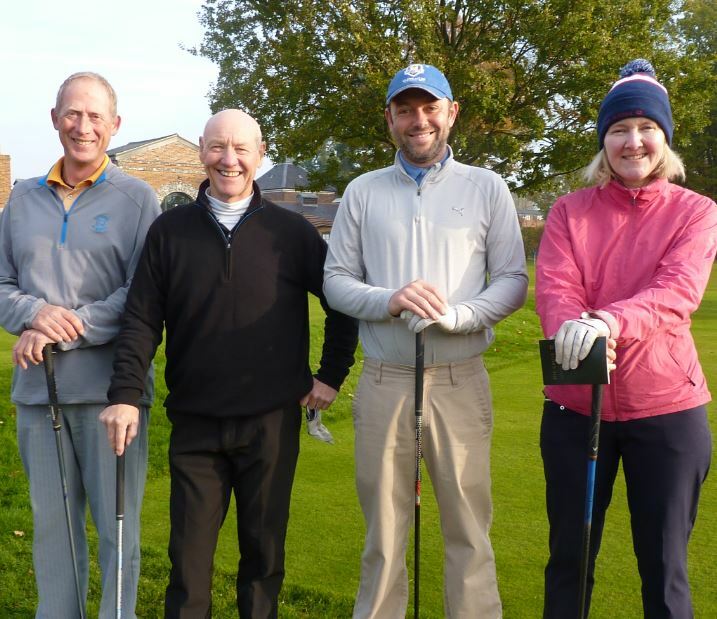 The winners and runners-up were presented with their prizes at this year’s Christmas Scramble at The Berkshire. The Grove will again be the Society’s first fixture of the year, with the new season starting on Monday, March 11.